A: As the virus that is the U.S. American culture overwhelms the world the cultural difference between the U.S. Americans and Kiwis continues to diminish over time – as I have casually observed since my first visit in1985. Still there are some cultural differences that remain. Q: I’ve seen “Crocodile Dundee” and that animal dude that got killed by a sting ray. Do they really talk that funny “Crikey!” style? A: That’s Australia. Kiwis will tell you they sound nothing like them, you ignorant bloody sod. But Brenda is a born and raised Kiwi and Kiwis will tell you she doesn’t sound anything like a Kiwi either – so there you go. Mind you, Yanks will tell you Brenda doesn’t sound anything like a U.S. American either. Q: Which side of the road do they drive on there and are there any other differences like that? A: They drive on the other side of the road and the driver sits on the other side of the car and there is almost a complete absense of four way stops in favor (or “favour” as they’d spell it) of the more efficient roundabout. The roads are generally two lane highways on windy roads but traffic seems to move along nicely and over the years the roads are getting straightened out a bit and there’s less dangerous passing by cars in a hurry to get around slow moving trucks. I think there are fewer slow moving trucks. BUT do not underestimate the disorienting effect of traffic being on the left rather than the right side of the road. It means that EVERYTHING is reversed in terms of how traffic flows, even horse races, and after three weeks I’m still not used to it. Q: What’s the difference in the price and quality of gas? A: Don’t panic! That’s not $180.90 it’s $1.809 (or $1.81 rounding up). Don’t exalt in joy! That’s not $1.80 per gallon, it’s $1.80 per LITER. Convert liters to U.S. American gallons and that translates to $6.85 per gallon. BUT WAIT! That’s New Zealand dollars and even though the U.S. American dollar has been taking a beating lately and the Kiwi dollar is more highly valued than it usually ever is (they must’ve heard we were coming over), the Kiwi dollar is still worth only about 70% of the U.S. American dollar which makes the actual price of gas here… drum roll please… about $4.80 per gallon. Expensive but still much cheaper than gas in the U.K.
Also, notice that they call gas “petrol” here. 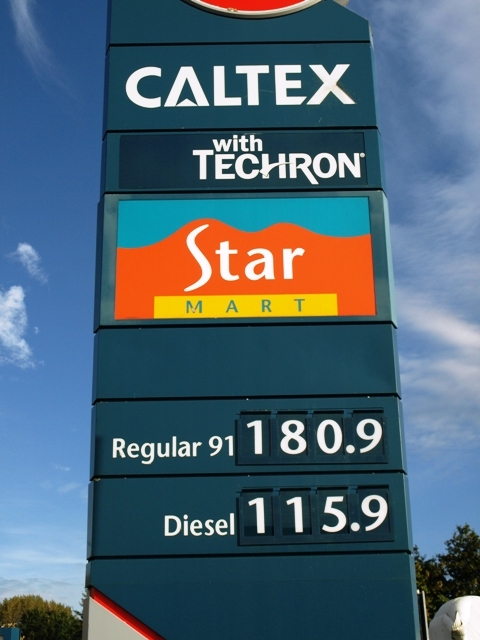 Also, also notice that this “CalTex” station appears to be what U.S. Americans call a “Chevron” station as both feature gas…err…petrol with “techron”. Finally, notice that diesel is substantially cheaper here than gas and the octane of regular gas is higher than U.S. American’s gasoline – all differences. Q: What do kids wear at school? A: Children in public schools wear uniforms which vary from school to school. This has always been the case. Brenda wore a uniform to school. In many cases they now also require the kids to wear hats to protect them from the fierce New Zealand sun. The girls usually have a shirt and skirt, the boys are in shirts and short pants. 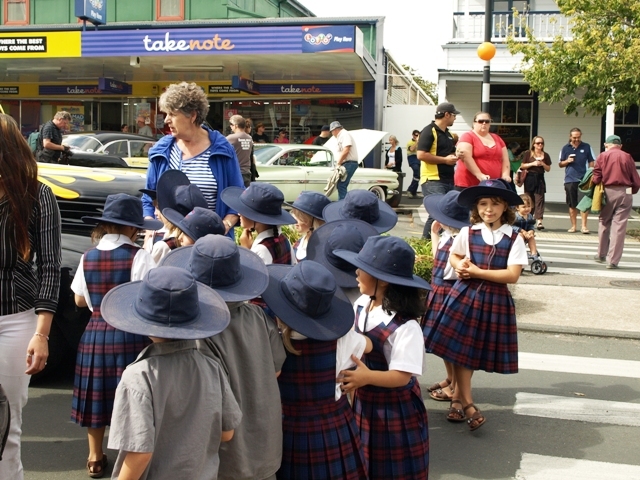 In this photo the kids were on a bit of a field trip to the classic auto show in Waihi Beach and buddied up and holding hands, two by two. Cute. Q: Back to that money thing. Besides their money being worth less than ours, what other differences are there? A: Their bills are more colorful (or colourful as they’d spell it) and fun to look at. The biggest difference is they don’t have a $1 bill. The lowest is a $5 bill (note they call them dollars, not pounds like the British). The coins have also changed size since I first came here and are now sensibly sized (the 50 cent piece used to be humongus). 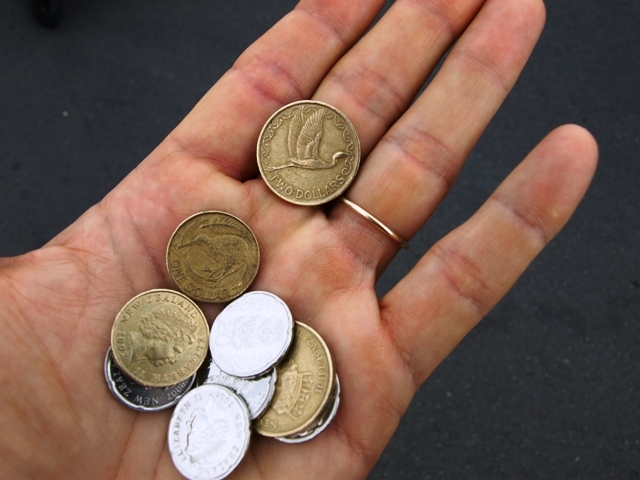 In this photo we’ve got a couple of two dollar coins, a couple of one dollar coins (the ones with the kiwi bird) and probably four 50 cent pieces though there may be a twenty cent piece in there too. Not pictured is the copper ten cent piece – the smallest coin as they don’t have 5 cent pieces or pennies. The best thing about this system is the one and two dollar coins. If the U.S. Americans would do away with the one dollar bill and the penny and go to this system it’d save a lot of money on money production and people would start using the dollar coins. Mind you, I dropped a two dollar coin in a dairy today and it rolled under the shelves and disappeared. Bummer losing $2 that way – I could’ve bought another hokey pokey ice cream. 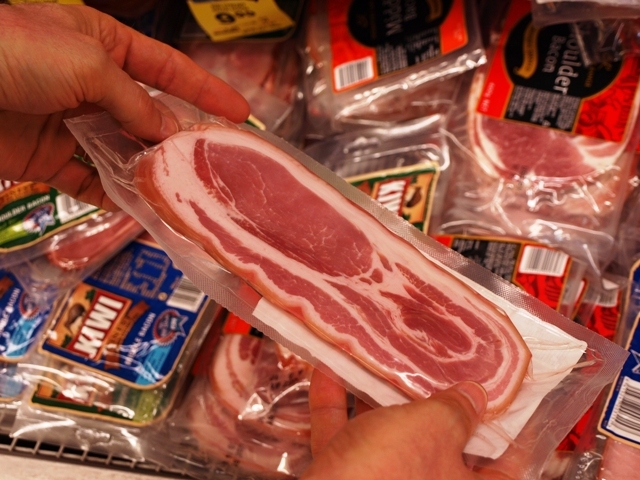 Q: What about grocery stores? 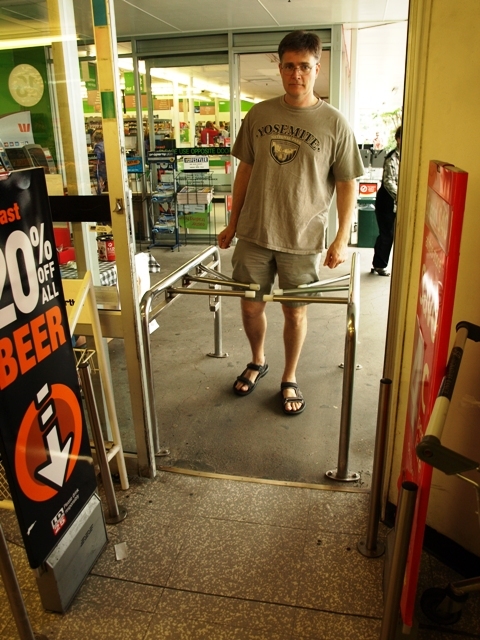 Many of them have this wierd one way entrance thingy in them that seems only a mild barrier to actually leaving the store this way. 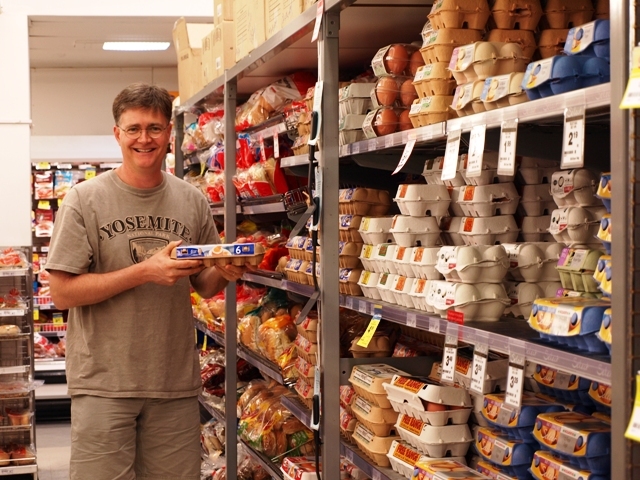 A: And they store their eggs unrefrigerated on the shelves because…well eggs are not like milk and will not spoil all that fast so why spend all that energy refrigerating them? Q: Speaking of energy, what about electricity? But as you can see from the photo, the Kiwi outlet is a different shape than the U.S. American one. U.S. Americans! Hear this! Do not bend your plug to fit this outlet! The Kiwi electrical system runs on 240 volts, not 110 volts. If U.S. Americans plug their devices in without the proper converters their devices will get fried. The other difference is those little switches next to each outlet. Each outlet has an on/off switch which takes some getting used to. More than once I’ve had the computer’s battery running down because I plugged it in and forgot to switch on the outlet. 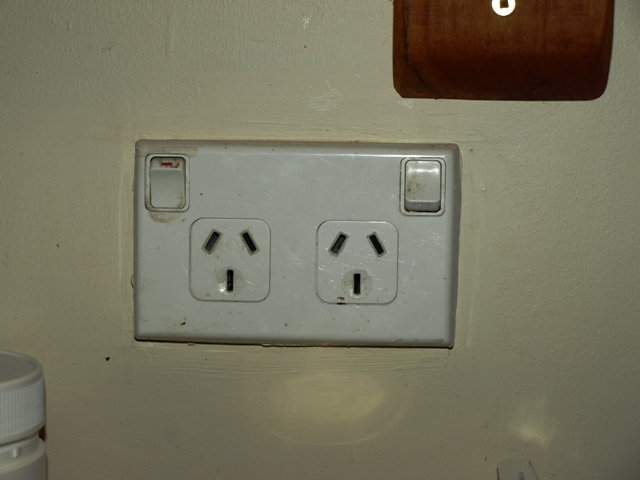 A: No, I don’t know why they need switches on their outlets. Q: How do they get their news? 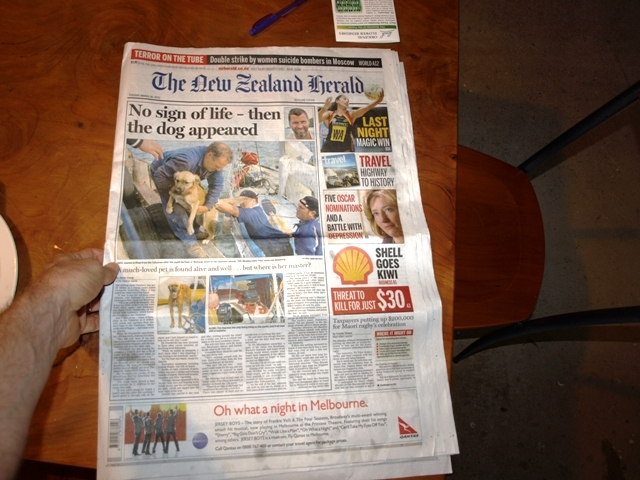 A: They have these publications called newspapers, though there is also TV news, the radio and the internets. Notice also that their newspapers are wider than the U.S. American newspapers and get this: they actually seem to get read. Well, that’s all for now folks. Keep those questions rolling in.